“In The Skin of a Lion,” but found later Ondaatje books a bit obscure, are thrilled with the fast pace, sense of magic and mystery, that fill this new book. 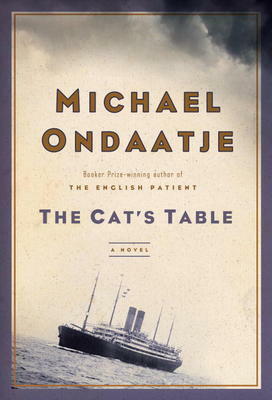 Ondaatje takes a true happening from his own life; he did leave Ceylon as an ll-year old to meet up with his estranged mother in England: a trip of 2l days on a 7-storey liner holding 800 other passengers. When he told his own children, many years later, about this trip, they were so full of questions that he turned back and decided to use the trip for a fictional account of three young boys, travelling alone, and their close meetings with adults, romantic, dangerous, sometimes terrifying. The cat’s table referred to the least prestigious spot in the ship’s large dining-room, the farthest away from the Captain’s Table. This did not mean it did not have some fascinating members: the musician, retired from a jazz band, who played with the ship’s orchestra and was full of ribald lyrics; a mysterious spinster who wore a jacket with pockets to carry live pigeons, a retired ship dismantler who had the complete run of the ship and got the boys into forbidden spots in the engine and furnace rooms as well as the lifeboats where they hid for hours eating stolen fruit from the First Class. Michael, nicknamed Mynah, finds his l7-year old cousin Emily on board ship, and has a very touching visit catching up and reaching an intimacy he had not known before. As the book, and the journey, progress, and Aden and Port Said are reached, Ondaatje flashes forward to his later life, remembering how his discoveries on shipboard affected his own emotions. In England he picks up with the boys he knew on board. He even tracks Emily down on the west coast of British Columbia. Because Ondaatje is so frank in sharing what is true, and what is fiction, we get a quite inspired story of youth and age, of growing up, snatches of life in Ceylon versus life in England. Ondaatje is generous, as well a polished and graceful writer. This is a wonderful book. 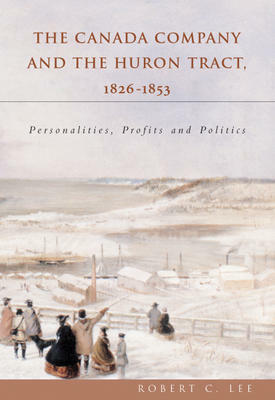 This is a scholarly look at a fascinating period in Canadian History – the beginning of the Canada Company and the settling of the Huron Tract in Ontario. This company had its base in England and was responsible for settling over two million acres of land in what was called Upper Canada. It turned up a lot of colourful characters with different visions as to how this should be done. Among them were John Galt, the Scottish author of novels like Annals of the Parish, beloved by generations of Scots – who sometimes paid more attention to the needs of the settlers, such as buying seed for their crops, than to the books of the Company he was charged with starting. Also Tiger Dunlop, a medical doctor who became Warden of the Forests. Very concerned with Britain’s position was the lieutenant governor, Sir Peregrine Maitland; also very involved were the Bishops Macdonell and John Strachan. This is a picturesque part of Ontario and there are excellent descriptions (and good photographs) of the founding of the cities Goderich and Guelph. This period has been described in a number of previous books and pamphlets, but Robert C. Lee writes a particularly vivid account because his family came from England to Goderich as early as l834 and later descendants served as mayor of that city and ran businesses there. Bob Lee studied history at Bishop’s University and later wrote his masters degree at the University of Guelph on the Canada Company. Lee later joined the Canadian Foreign Service, posted to the U.S., Yugoslavia, Japan, Korea and Indonesia. He now lives in Ottawa. We have updated the Book Club page with details on the 2011-2012 meetings, as well as updating the dates we are meeting over the next few months. Thank you to our friends and customers who pointed out the scheduling errors! 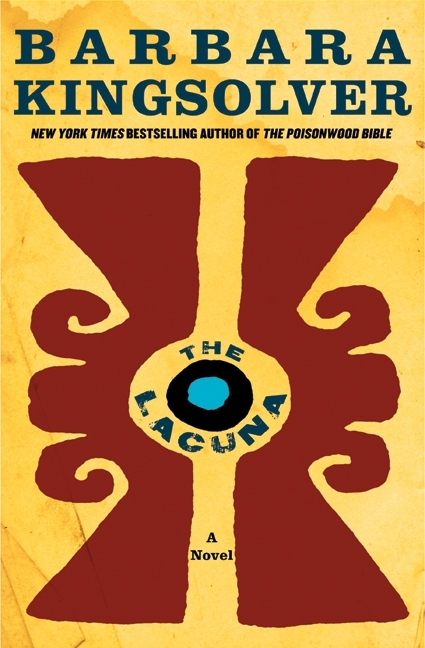 We’ll be sharing our opinions of Barbara Kingsolver’s “The Lacuna” on wednesday evening of the 28th, at our regular time of 7:30pm. Meetings take place in the lounge of the New Edinburgh Square retirement residence located at 35 Beechwood Ave. This is a gripping story of identity, connection with our past, and the power of words to create or devastate, unfolding at a moment when the entire world seemed bent on reinventing itself at any cost. Born in the United States, reared in a series of provisional households in Mexico, Harrison Shepherd is mostly a liability to his social-climbing flapper mother, SalomÃ©. From a coastal island jungle to the unpaved neighborhoods of 1930s Mexico City, through a disastrous stint at a military school in Virginia and back again, his fortunes never steady as SalomÃ© finds her rich men-friends always on the losing side of the Mexican Revolution. Sometimes she gives her son cigarettes instead of supper. On Sunday, September 25, come down to Books on Beechwood to meet author and organizer Sandra Tisiot. She will be here from 1 to 2pm. Her book is called “My Life Locker: The Ultimate Life Organizational System.” It is a nice spiral bound book that allows you to organize all your affairs neatly and efficiently in one place. Sept. 24th from 11am to 1pm book signing of the Lemon Man series! We are having a book signing with Natasha Ferrill this coming weekend! 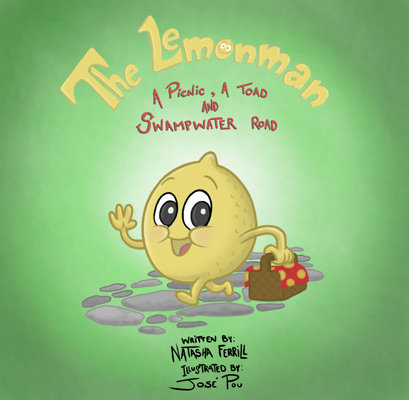 The first book in the series, “A Picnic, a Toad and Swampwater Road”, takes the young reader on a picnic adventure with The Lemonman and his friends, along with a trouble-making Pear and a swindling Toad. It is a delightful story about friendship, the gift of forgiveness, and the power of kindness toward others. You can see inside the book on the Lemon Man web site!